Ed's Excellent Adventure - At Age 104! 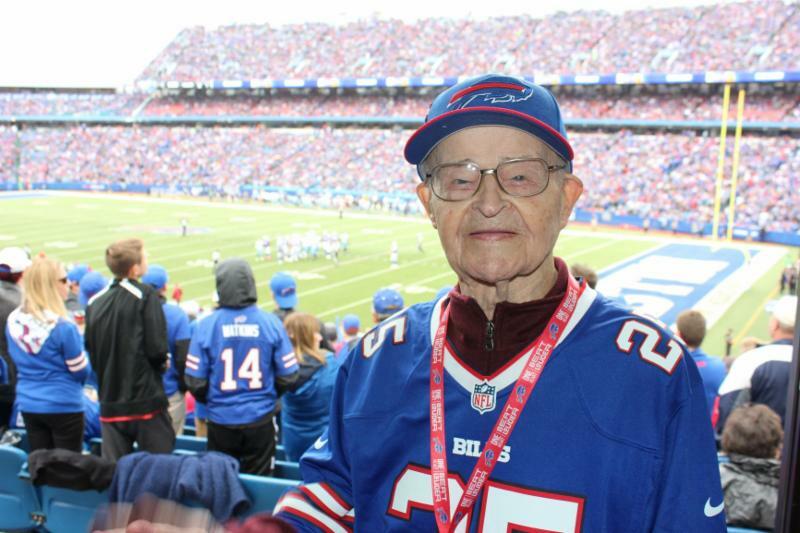 Ed, a 104 year old WWII Veteran, enjoyed a VIP Day at Sunday's Bill's game. 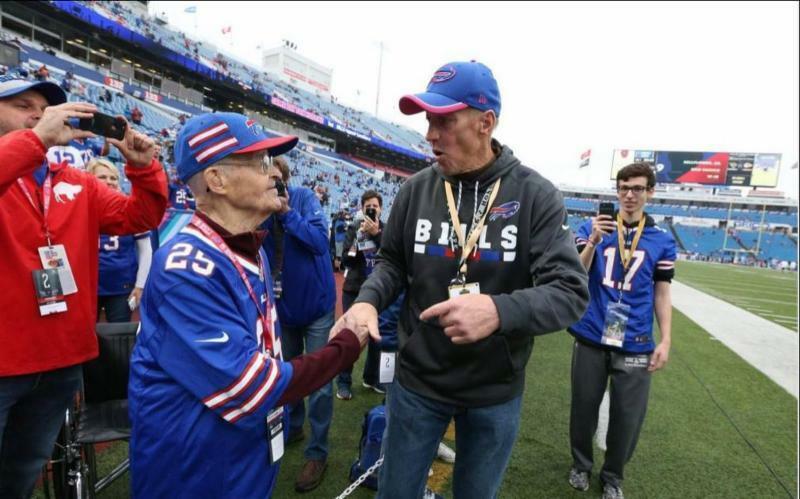 Ed was very surprised to meet Jim Kelly on the field. 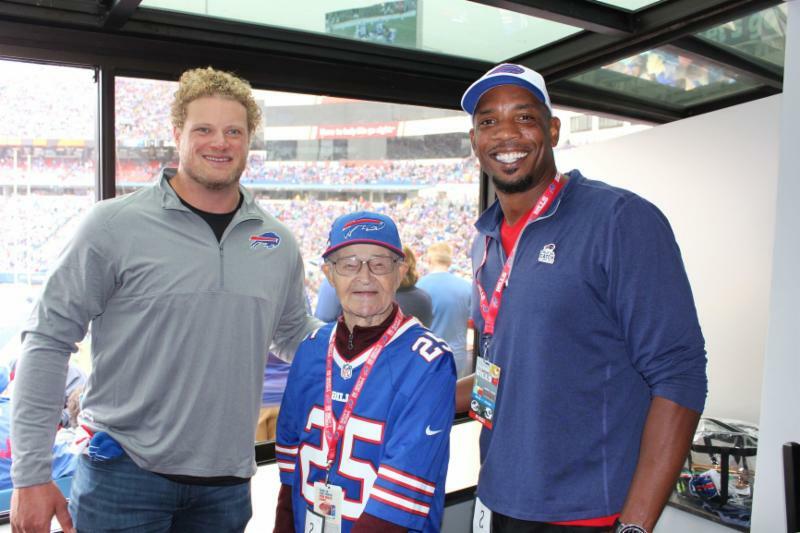 Eric Wood and Robert Royal also stopped in to the suite to thank him for his military service. 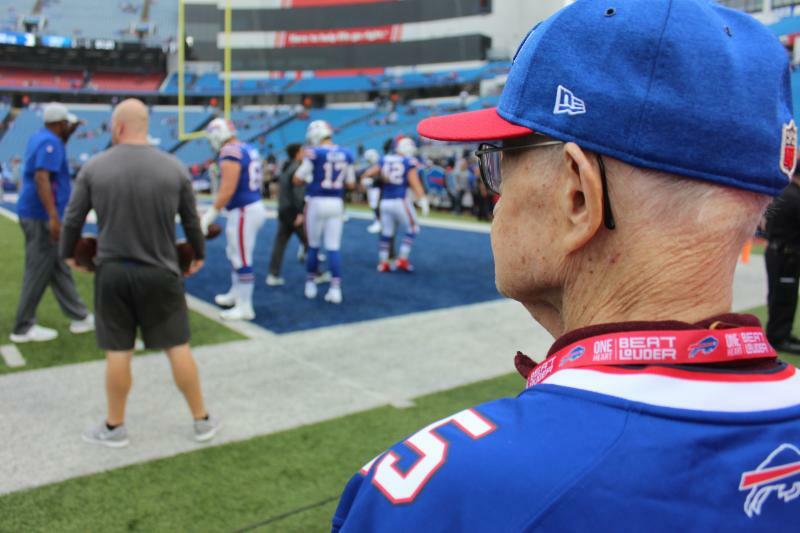 A Bill's win topped off a day full of surprises! really was missing the experience. 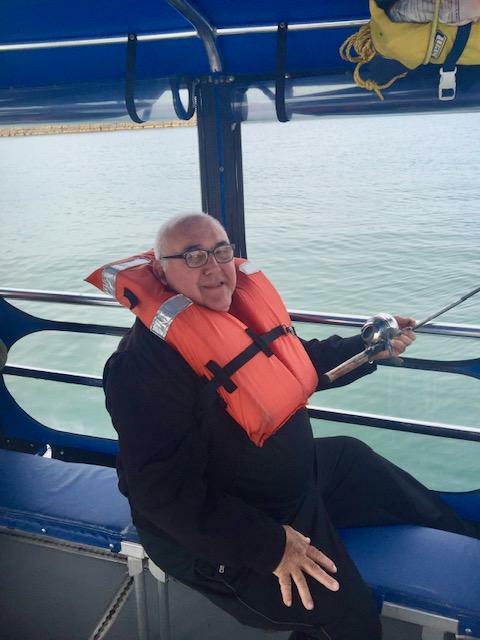 and he was the only one of the group to catch a fish! Please consider making a donation to assist us in showing our gratitude to these deserving veterans. "There is no doubt that a wish granted by Senior Wishes can enrich a senior's life but as a Service Coordinator and MSW student I also know how such a meaningful experience can have a therapeutic value toward enhancing the lives and well being of seniors. I have been witness to that first hand. 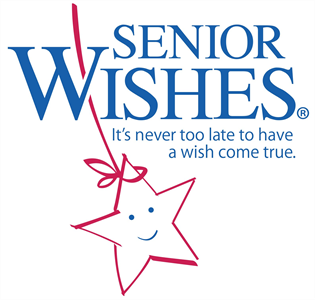 My experience with Senior Wishes has been extremely rewarding and I recommend anyone interested in submitting a wish or partnering with them to do so."